Room policies are subject to change when events occur. 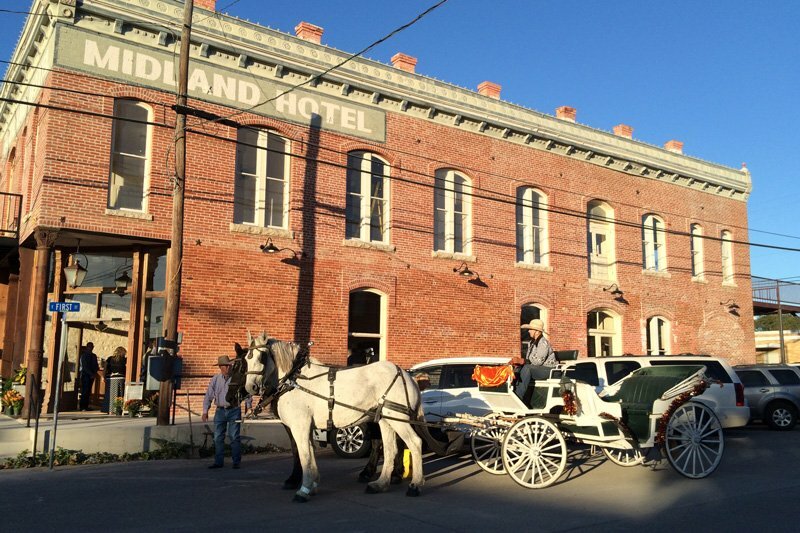 One of the favorite events of the year in Hico. Typically over 100 cars show up for this popular, annual event. A wide variety of street vendors, DJ music and a lively awards ceremony make this an exciting family event. Backyard chefs from all over the Southwest came to Hico, Texas to see who cooks The Best Steak in Texas. This event brought in 108 teams all trying to win the $3,500 first place and the title "Best Steak in Texas". The event was a great success and congratulations to all the winners. Mark your calendars now for this year's event! The Annual Texas Steak Cookoff, hosted by the Hico's Original Steak Cookoff Committee, will be in May every year in historic downtown Hico, Texas. We look forward in seeing our old friends and the many new cookers that want to claim the title of "The Best Steak in Texas". If you are not a backyard chef, come on down anyway to enjoy some time in our 1896 Saloon. This is the oldest event of its kind held in Texas. This week-long event is sponsored by the Hico Civic Club and includes a parade through downtown Hico, and concluded Saturday with a carnival and concert held at the Hico City Park. Six-man high school football teams from across the state travel to Hico, TX to compete in the invitation-only event. This is the 11th year for this very popular sporting event. Features treats, door prizes, and special discounts. (20 miles) visit the Dinosaur Valley State Park, Fossil Rim Wildlife Farm, The Promise Musical, Squaw Valley Golf Course, and many other attractions. (40 miles) visit Granbury Live, Lake Granbury, Historic Granbury Square and many other attractions.